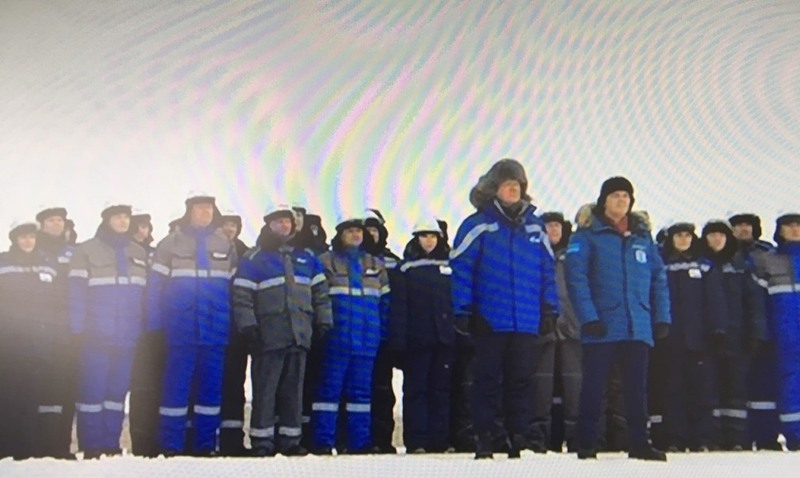 On the 20th of March in the videoconference mode the President of Russia Vladimir Putin launched the full-scale arrangement of Kharasaveyskoye field on the Yamal Peninsula. “Gazprom” develops the “storehouse” of resources. Kharasaveyskoye field is located on the Yamal Peninsula to the north from Bovanenkovo field, mainly on the land of the peninsula and partially on water area of the Kara Sea. The size of gas reserves is classified as unique — 2 trillion cubic meters (on the sum of categories C1 and C2). The planned annual level of extraction from the Cenomanian-Aptian deposits makes 32 milliard cubic meters of gas per year. In the summer of 2018 “Gazprom” took the decision to start full-scale development of Kharasaveyskoye field in 2019. Cenomanian-Aptian deposits will become the priority objects of development; the beginning of production is planned for 2023, its project level — 32 milliard cubic meters of gas per year. Further development of deeper Neocomian-Jurassic deposits is supposed. Life support objects were created in Kharasaveyskoye field, in particular, the residential complex for workers and the electric power plant for own needs.